Another Mystery Solved! Here’s Our Nellie . . .
After I posted the wedding invitation for John DeSmit and Nellie Squares, the mystery of Nellie was solved by Adri van Gessel. Nellie was born Pieternella Paulina Schrier on Sunday, October 5, 1879, at Kortgene, the Netherlands. 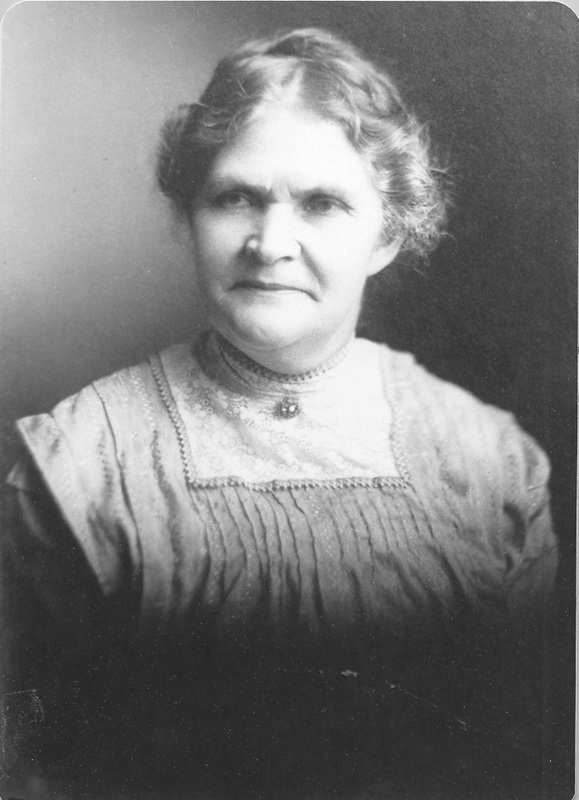 She immigrated to the United States in 1891 with her mother, the widow of Paulus Schrier, and 5 siblings. 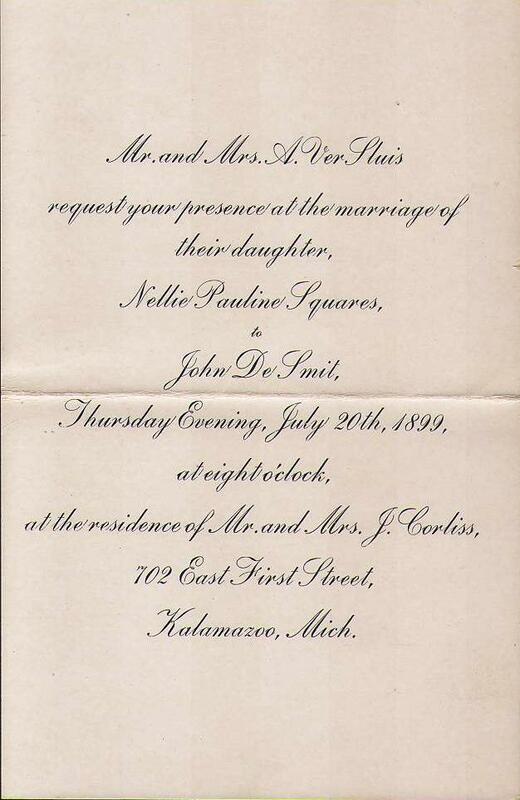 On Thursday, July 20, 1899, Nellie married John DeSmit in Kalamazoo. 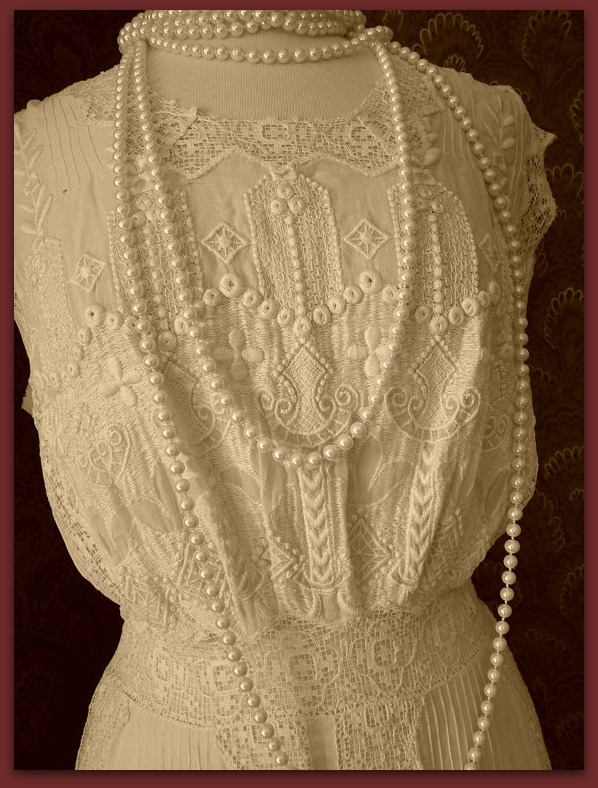 On May 9, 1900, Nellie died in Kalamazoo. She was a 20-year-old housewife, according to her death record. Adri found the birth of a girl, Nellie D. DeSmit, born April 30, 1900, in Kalamazoo. The daughter of Nellie and John. Sadly, Nellie must have passed away from giving birth. Baby Nellie was not listed on the 1900 census with her father, John, who was living at home with his family. Instead, the baby was listed as an adopted daughter in the family of Christopher (Christiaan) Schrier, Nellie’s brother and baby Nellie’s uncle. Baby Nellie, no longer a baby, was married on June 13, 1918, in Kalamazoo, to Garret Johnson, son of J.G. Johnson and Nellie Groenhuizen. Garret was born on May 11, 1895 at Hilversum, the Netherlands. He died August 18, 1961, in Kalamazoo. It appears, though, that baby Nellie still considered herself the daughter of John DeSmit because in the 1940 census she, her husband, and son Robert (born 1935) lived in the household of John DeSmit and was listed as daughter. One of the biggest mysteries has been why Nellie’s parents are listed as Mr. and Mrs. A. Ver Sluis. At first I thought, well, Nellie’s brother Christiaan married Nellie Ver Sluis in 1898, only a year before our wedding invitation for Nellie Schrier and John DeSmit. Does this have something to do with the fact that there was not a living father to give Nellie Schrier away? Nellie’s mother Pieternella de Looff Schrier was married on Wednesday March 2, 1892, in Kalamazoo, to Abraham Jacob Versluis, son of Willem Versluis and Pieternella de Lange. Abraham had been previously married to Cornelia Verburg and had two children by her. He immigrated to the United States in 1891. 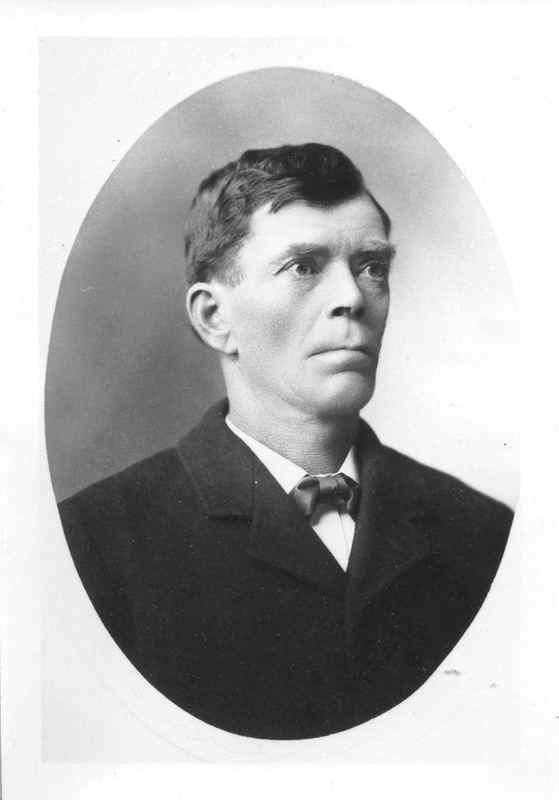 Abraham was born on Sunday October 13, 1850 at Kortgene and died on Tuesday November 1, 1938 in Kalamazoo. Was it customary to marry step-siblings, as Christiaan did? In case the name Schrier rings any bells for those from Kalamazoo, there have been many residents with that surname. The name comes from the Zeeland province of the Netherlands. Paul J. Schrier was the mayor of Kalamazoo from 1967-1969. He was the son of Peter Schrier, who was a brother of Nellie Schrier DeSmit. Therefore the mayor was our Nellie’s nephew, although he never knew her since she died at the age of 20 from giving birth to her daughter. If baby Nellie ever had any half siblings. Her father apparently married Margaret when he was between 42 and 52. When baby Nellie passed away. If baby Nellie perhaps lived with her uncle so that she would be raised with his two children. Did Christiaan and his wife already have their babies when Nellie was born or did they come after? This still doesn’t explain the Corliss home for the wedding. And we think families are confusing today . . . .
Let’s take a little break from Theresa’s story this week. We can return to it next week. Another branch of the family that I have not yet spent any time investigating begins with Richard DeKorn’s other sister Mary. His sister Jennie is the one who married John Culver, had two little girls, and took off for Seattle. It wasn’t until Joyce sent me the photo album that I began to learn more about that branch. But Richard’s other sister, the one who stayed put in Kalamazoo, I still haven’t spent any time with. Mary died at age 98, two years before I was born. Maria Catharina de Korne was born on 4 Jan 1855 in Kapelle, Zeeland, the Netherlands. 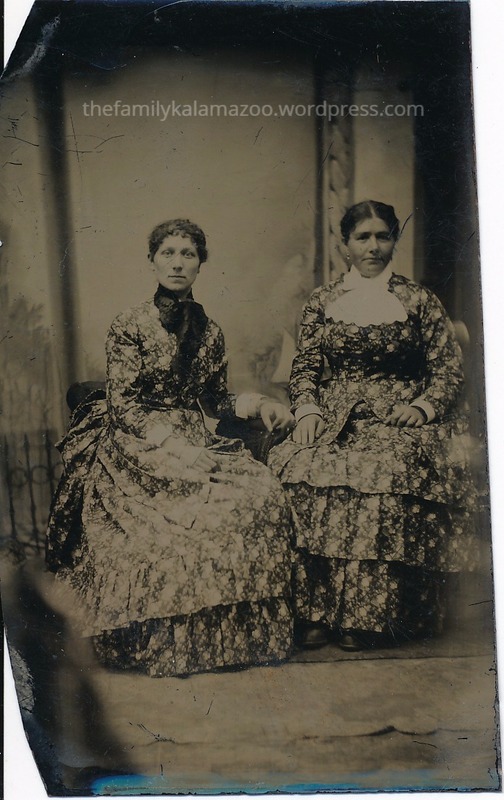 Mary married John DeSmit in Kalamazoo in 1873 and they had seven children–3 boys and 4 girls. That means that there are a lot of children to investigate. I wonder how many of their descendents are living in the Kalamazoo area. In order to begin researching the DeSmits, I looked through my documents to see if I already had anything, and I discovered a wedding invitation from 1899. It amazes me how much it resembles a contemporary wedding invitation. It lists the names of the bride (Nellie) and groom (John) and her parents, although not his parents. The place is a residence with an address. I don’t know the connection of the location to the bride and groom. The wedding was on Thursday evening, which seems like an odd time to me. Also, I wonder if it wasn’t the residence of the bride’s parents because perhaps they weren’t from Kalamazoo? Or perhaps their home wasn’t large enough? I wonder why the bride has a different last name, Squares, from her parents, Ver Sluis. I found a newspaper announcement which lists Nellie’s surname as Squires, which makes more sense, but wouldn’t the printed wedding announcement be correct? Also, the newspaper lists John’s home as Battle Creek and Nellie’s as Kalamazoo. But what is the bigger mystery is this. I show that a John DeSmit, the son of Mary and her husband John, and born approximately June 1877, was married to a woman named Margaret. The age would be right for John to be marrying in 1899, as he was 21 or 22. But who was Margaret? On closer examination of the 1900 census, I see that John was listed as 22, living at home with his parents and siblings, and already a widower! Poor Nellie?! It seems that Margaret was a second wife, later in John’s life. You can see that this invitation brings up more questions than I had to begin with, but it does give me some information to pursue. The next thing I went to check out was the address listed: 702 East First Street, Kalamazoo, Michigan. According to Google Maps, it doesn’t exist. My great-great-grandmother Alice Paak (the brave woman who survived a horrific near-tragedy that I wrote about last spring) gave her middle child Cora a gift for Christmas 1907. Perhaps she gave one to each of her three children. You can see from the photo that it’s a hand-painted genealogy shell. My grandfather and grandmother inherited it, and my grandmother gave it to me. Let’s take a look at what she wrote over one hundred years ago, and how it relates to the information I have received more recently. If you remember my story about Alice’s near tragedy, you might also remember the post I wrote about her beautiful handmade shawl. Or the post I wrote about Alice and all her sisters. Apparently, she accepted the American name “Alice.” Her granddaughter, Alice Leeuwenhoek, the daughter of Jennie and Lou Leeuwenhoek, was named after her. 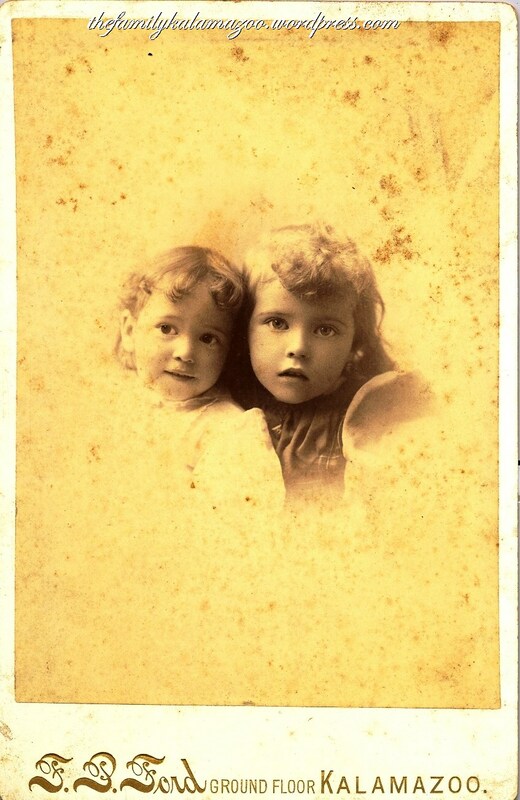 Later, my own aunt, the granddaughter of Alice’s daughter Cora, was given the name Alice. Alice Paak’s birth date is given on the shell as 17 September 1852. But my genealogical information (the source I listed above) shows that she was born on that same month and year, but on the 9th, not the 17th. Wouldn’t she know her own birth day? That confuses me. On the shell, she lists her birth place as Leksmond, Nederland. That sounds right, and I think it’s the same place as Lexmond, Zuid-Holland, Netherlands. My great-great-grandfather Richard DeKorn was born Dirk de Korne. But he clearly changed both his first name (Americanized it) and the spelling of his last name (maybe to make it easier for others). He was born on 21 Aug 1851. The shell corroborates the date. Born March 18, 1873. That’s according to the shell. But my information is March 8, 1873. I have to check on this! Born January 2, 1875. That’s according to the shell and to my records. Born June 30, 1881. That’s according to the shell and to my records. The design is beautiful with holly branches. The berries are raised to look like real berries. Originally there was a gold leaf paint trim around the shell, but it has worn off in many places. Her use of “Xmas” because it fit better on the small surface seems astonishingly modern, as does the use of metallic gold and red and green for Christmas. What I find particularly poignant, though, about this family heirloom is the date. She gave this gift to her daughter on Christmas 1907, and on May 5, 1908, a little over four months later, she passed away. Where in the Heck is Kapelle? 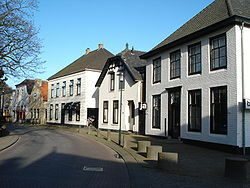 Since I’ve been talking a lot about these DeKorn ancestors and so many of them were born in Kapelle, Zeeland, the Netherlands, I thought I’d scout around online and see what I could see of the town. I’ve only been to Holland once, for a very brief time, and I didn’t know what towns to look for at the time–so I’ve never seen the area my ancestors came from. 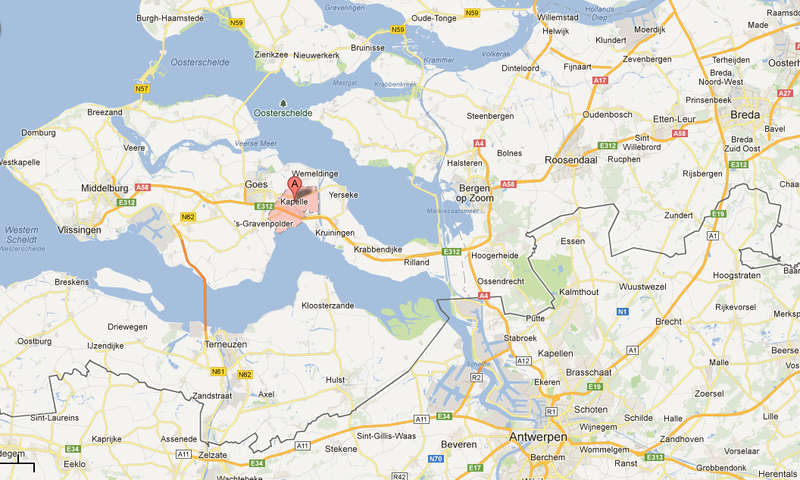 As I showed in a previous post, Kapelle is located in the Dutch province of Zeeland, very close to Goes. It’s not all that far from Middelburg, the capital of Zeeland. Last post I showed you the photo of my great-great-great-grandfather, Boudewijn de Korne. I just discovered new information about him written by his grandson Joseph DeKorn. Boudewijn, his wife Johanna, and their two children travelled to the United States with Gerrit Remine (Gerrard Remijnse), who was Johanna’s brother. 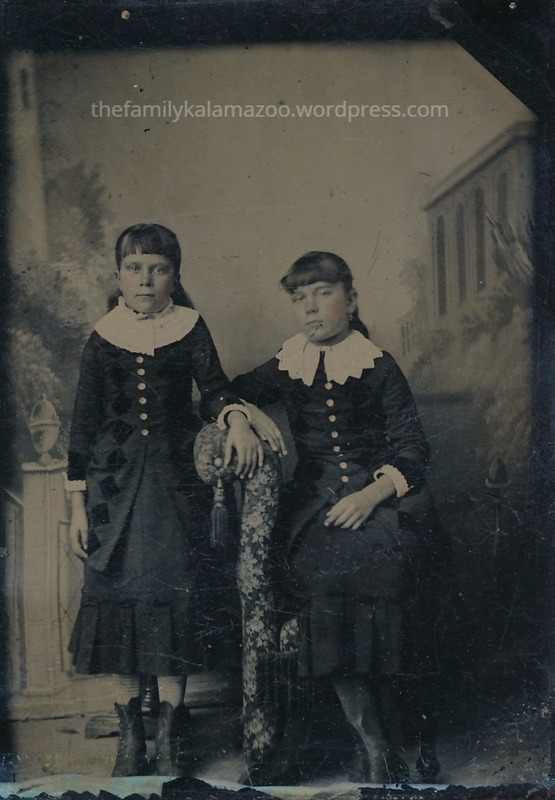 They travelled on a sailing vessel and arrived at Kalamazoo, Michigan on June 22, 1856. However, “they located in Zeeland, Michigan” for several years. “The voyage across was bad and long.” Joseph’s father Richard and Aunt Mary told him it took 90 days, but Joseph didn’t believe it was actually that long. I mentioned that Boudewijn and his wife Johanna had two living children when they left the Netherlands. The older is Richard DeKorn; I have introduced him several times before. Note that Richard’s generation appears to have dropped the final E from their last name. Kalamazoo, Michigan, United States. Also known as Richard and, when younger, Derrick. Mary: Maria Catharina de Korne was born on 4 Jan 1855 in Kapelle, Zeeland, the Netherlands. 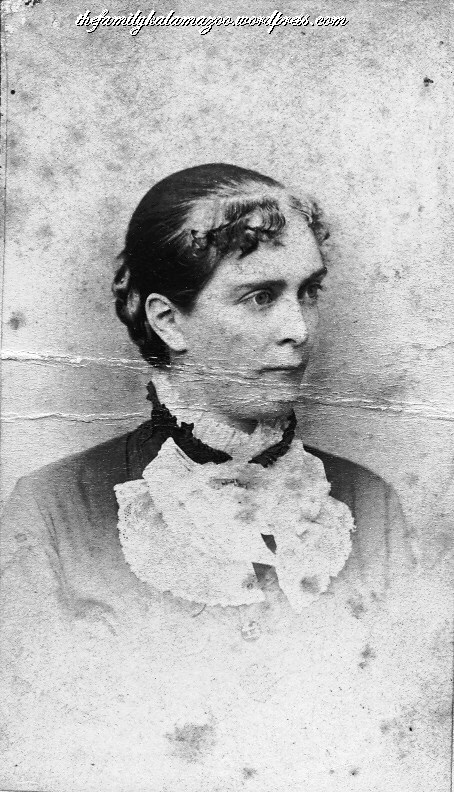 Mary married John DeSmit in Kalamazoo in 1873 and they had at eight children. Her daughter Frances married a Flipse. When I got married in 1975 my mother took me to Flipse Flower shop to order my bridal bouquet because they were “shirt tail relatives.” It’s hard to imagine it from this photo, but Mary only died two years before I was born. After the family moved to the United States, Boudewijn and Johanna had another daughter, Adriana, in 1959, who is one year old in the 1860 census. Nothing after that. However, a 10-year-old daughter Jennie shows up in the 1870 census, which Jose from Enhanced News Archive was kind enough to find for me. Joseph DeKorn’s documentation mentions Jennie, but not Adriana. My grandfather identified the woman in this photograph as Jennie, Richard’s sister, who married a man named John Culver and eventually moved to Seattle, Washington. She died in Pierce, Washington, on July 4, 1947. According to her death record, she was born around 1861. One difficulty in searching is that there is another Jennie Culver (married to Earl) who lived in Kalamazoo during Jennie DeKorn Culver’s lifetime. So the question remains: was there an Adriana born in 1859 as well as Jennie born in 1860 or 1861? Or are they the same person? If Adriana had lived and kept her name, she would have been mentioned in Joseph’s statement. So either she passed away as an infant or she became known as Jennie or, perhaps most likely, the census got her name wrong to begin with. UPDATE: IT IS NOW 2018, FIVE YEARS LATER, AND I STILL DO NOT HAVE BIRTH OR BAPTISM INFORMATION ABOUT JENNIE OR ADRIANA. I AM GOING TO ASSUME FOR NOW THAT JENNIE IS ADRIANA–UNTIL I FIND OUT TO THE CONTRARY. THIS IS BECAUSE JENNIE IS A COMMON NICKNAME FOR ADRIANA.